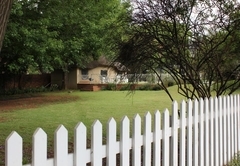 Abbotsford House is one of the Abbotsford guest houses and provides accommodation in 4 guest rooms for tourists visiting the Johannesburg region. 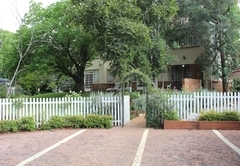 Abbotsford House is nestled in a leafy garden in the heart of the Northern Suburbs of Johannesburg. 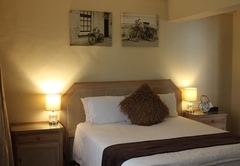 We offer four spacious fully equipped luxurious rooms with bathrooms en suite. Abbotsford House has an English country atmosphere with polished wooden floors and furniture, solid quality furnishings and sparkling linen. 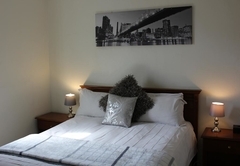 Each room has a mini bar fridge and safe as well as tea and coffee making facilities. 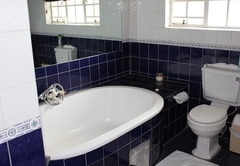 The spacious bathrooms have a shower and bath separate except the Lavender room which has a huge shower. 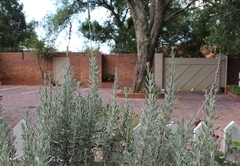 We have plenty of safe parking in our driveway and a beautiful patio and garden ideal for sundowners. 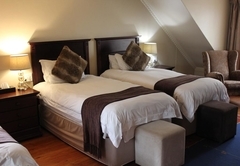 The Rose Room has a kingsize bed and is large enough for extra beds if families are wanting to all be in one space. 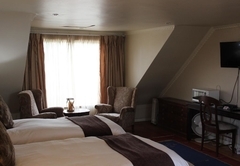 The Fig Room, the Verandah Room and the Lavender Room are ideal for business travellers as we also have free Wi Fi internet throughout the house. 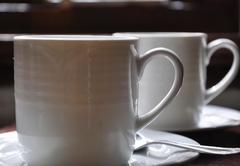 We serve a full English breakfast at whatever time suits you up until 11h00. Dinner is available on request. We make a three course dinner and the style is home cooking which our regular guests enjoy as we are also careful to take dietary needs in to account e.g. low fat or low sugar diets. If you prefer to eat out we are close to Melrose Arch, Rosebank, Norwood, Waverley and Houghton. There is also an excellent take away delivery service in the area and we encourage our guests to eat in the dining room. If you need laundry or ironing done this is no problem at all. 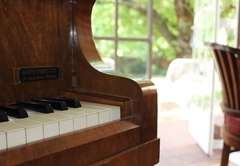 We now also have a pilates studio at Abbotsford House offering pilates and therapeutic massage. Children of all ages are welcome. We offer babysitting if required. 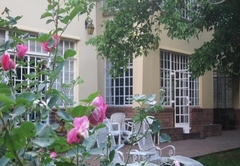 We offer day conference facilities for up to 12 delegates in the main house. Larger conferences are accommodated in our marquee. We can have up to 70 guests seated at round banqueting tables in the marquee. 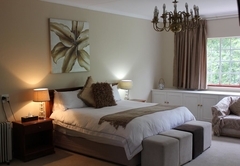 If you are coming to Johannesburg for a sports event at Wanderers Club, Old Eds, Killarney Club or Houghton Golf Club then Abbotsford House is ideally located. 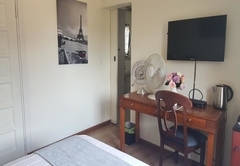 We are also close to the Nelson Mandela Foundation, the Glenhove Conference Centre, Quick Books, The SAS centre, SASFIN, Vox Orion and other businesses in Glenhove Road and Scott Street. 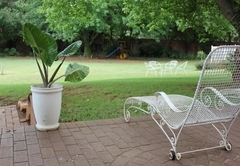 Abbotsford House is your home away from home when you are visiting Johannesburg. Response timeAbbotsford House typically responds to requests in 5-10 minutes.